Opt for distinctive designer footwear with the Ash Neo suede trainers. 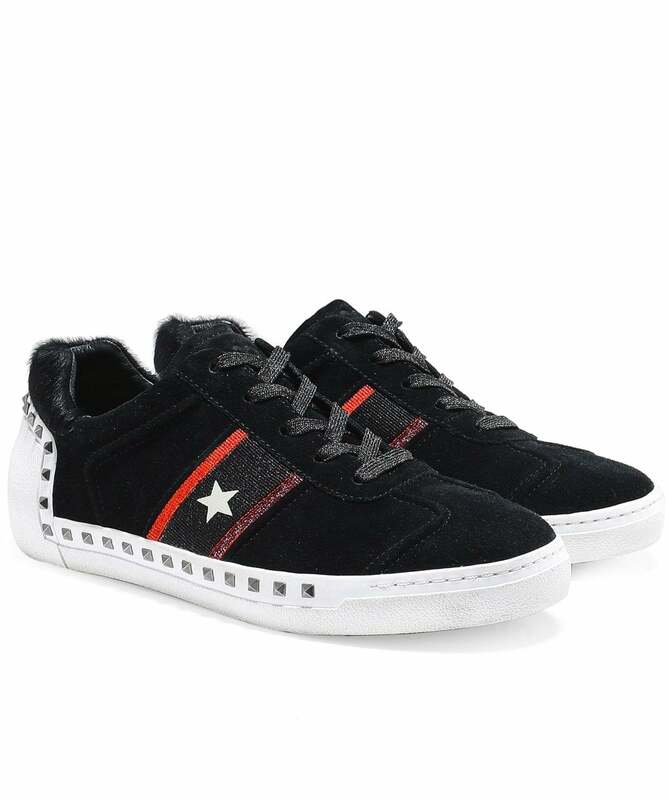 Constructed from soft suede uppers, these uniquely styled sneakers feature a star and stripe detail to the sides, a pony hair panel to the ankle, stud detailing and a velour cut out star to the heel. With a lace up fastening and thick rubber sole for comfort and ease of wear, these Ash trainers are perfect for everyday styling with your favourite casual outfits.